The Burger Kitchen wasn't terribly special. I'm told that it will be featured on Kitchen Nightmares in the future. The place has probably already revamped its menu since my visit, so this review may be fairly useless to you. 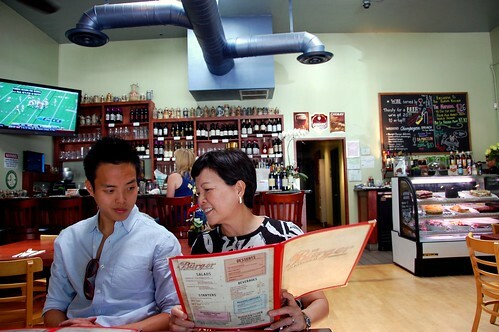 The Kitchen Nightmares appearance was kind of weird news to me because, while I didn't find The Burger Kitchen terribly special, I didn't find it especially terrible either. 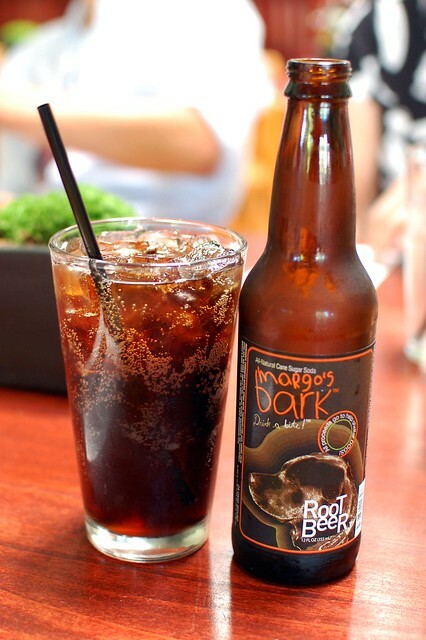 Margo's Bark Root Beer ($2.50). 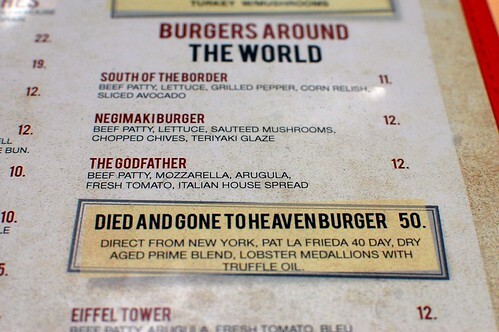 The one thing that was kind of terrible at The Burger Kitchen was the pricing of some items, but the burgers are purportedly made of special 40-day-dry-aged Pat La Frieda meat. I guess Pat La Frieda is burger code for "you can charge a shitload." I suppose it didn't hurt that this particular burger also had lobster on it. Fear not. We did not die and go to heaven $50 poorer. But we did spend a decent chunk of change on some other offerings. 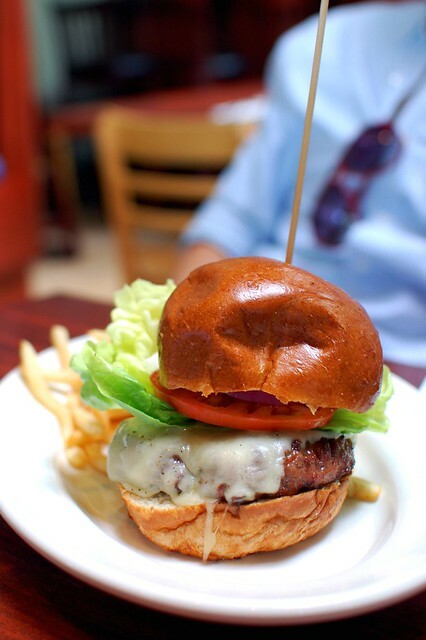 The Natural Burger -- butter lettuce, grilled tomatoes, caramelized onions, white cheddar ($26). It was fine, but it didn't make me sing the praises of Pat La Frieda. This makes me wonder what The Burger Kitchen may have been doing wrong because Pat La Frieda supplies the legendary Minetta Tavern, right? Or would I be unappreciative of Minetta, too? These are the thoughts that keep me up at night. 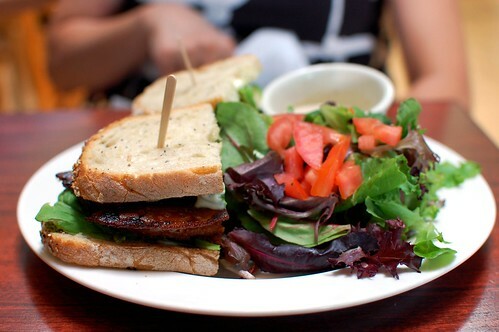 BLT -- maple-glazed bacon, arugula, breaded sliced tomato, herb aioli dressing ($8.50). I'm not really sure why Mama Monkey ordered this. I guess she didn't feel like having a burger. It was a BLT. Nothing more to say beyond that. 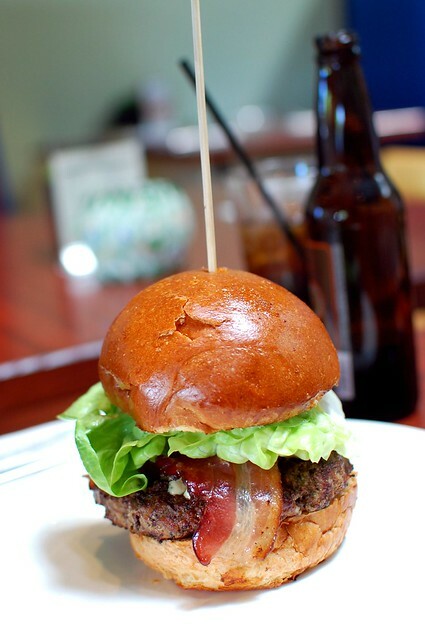 Capitol Burger -- lettuce, glazed apples, bleu cheese ($11). 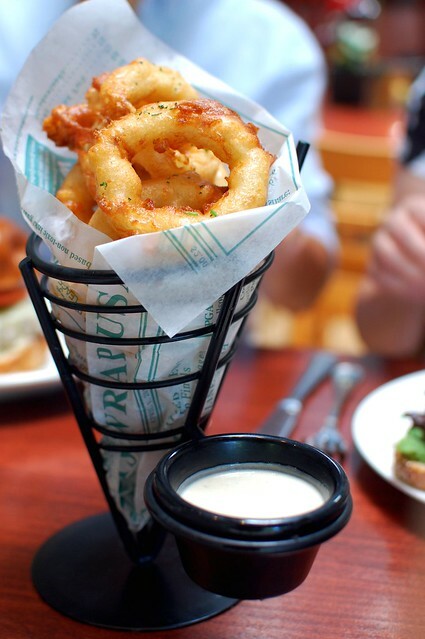 We added bacon to it, too. 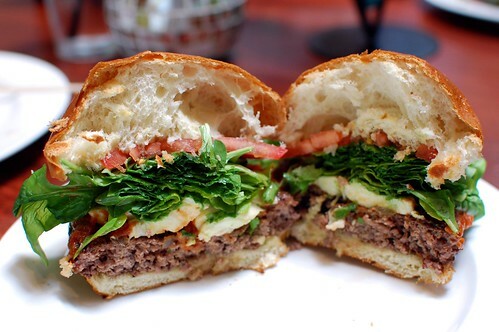 Now here's a burger that's better priced! This was made of non-Pat La Frieda beef. I honestly couldn't tell the difference in the meat. How sad for me. Less batter would be better! 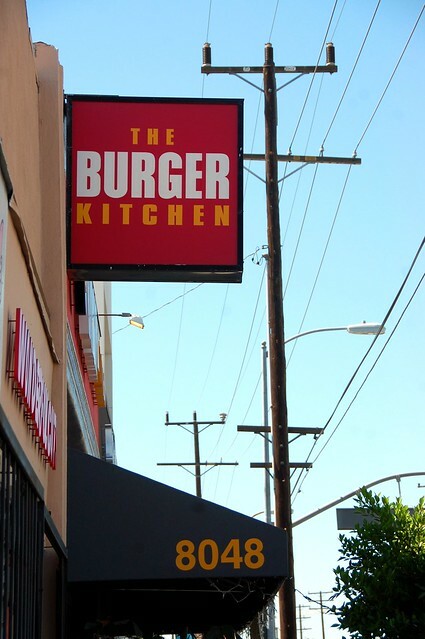 I didn't hate The Burger Kitchen, but there are certainly better burger places in L.A. Perhaps Kitchen Confidential has since whipped this place into shape. I know, if Gordon Ramsay were yelling at me, I probably wouldn't spear my burgers with stupid eye-poking skewers. I was wondering where this would be on your list of LA burger places. Ugh if the food isn't that bad and it's going to be freatured on Kitchen Nightmares ... what's in their kitchen?! I agree with your sentiments. A good burger, but nothin' really memorable.